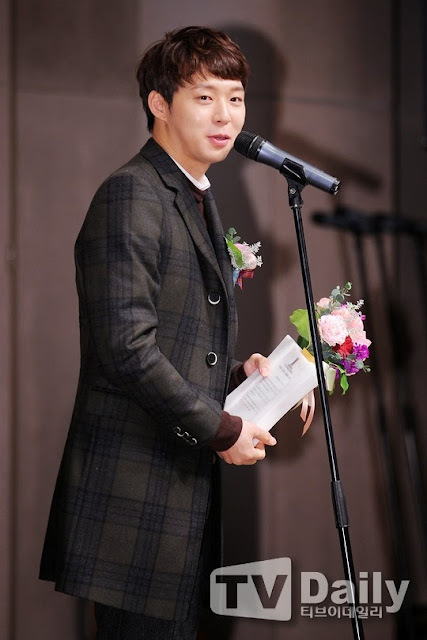 Park Yoochun (28) was chosen as the best newcomer by film reporters, giving him his fifth ‘Best Newcomer’ award at this season’s movie awards ceremonies. Park Yoochun was announced as 2014’s ‘Best Newcomer in Movies’ at the 6th Korea Film Reporters Association awards ceremony for his role in last year’s ‘Sea Fog’. This is his fifth movie-related ‘Best Newcomer’ trophy following wins at the 34th Korea Film Critics Association Awards, the 51st Daejong Film Awards, the 15th Busan Film Critics Association Awards, and the 35th Blue Dragon Awards. The total number of awards he’s won for ‘Sea Fog’ is up to seven if one counts his ‘Best New Artist’ award at the 4th SCAF Beautiful Artist Awards, and his ‘Popular Star in Korean Movies’ award from the Korea Film Actors Association’s ‘Starry Night’ Awards. Park Yoochun’s role as Dongshik in the movie ‘Sea Fog’, which was released as part of the ‘Big 4′ group of blockbuster summer movies in 2014, was well received by audiences and critics alike. Headed by Bong Joon Ho, the movie featured a flawless ensemble of amazing actors alongside Park Yoochun like Kim Yoon Seok, Moon Sung Geun, Kim Sang Ho. Park Yoochun was praised for his solid performance, despite the pressure of playing a major role in a highly anticipated movie as an idol-turned-actor.